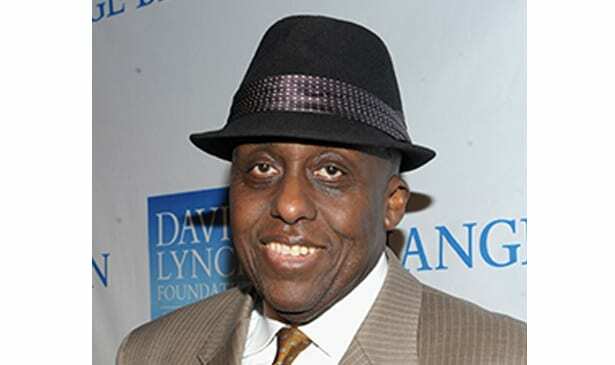 NASHVILLE, TN — Bill Duke, one of the stars of the current box-office hit, “Mandy,” has redefined Hollywood opportunities for artists of color, both in front of the cameras and in opening doors for their directing the television industry’s most highly rated programs. His powerful new autobiography, “Bill Duke: My 40 Years On Screen and Behind the Camera,” is an often emotional ride through his 40-plus decades in Hollywood. Duke often often faced insurmountable odds on the road to success in one of the most racist industries on the planet. Along the way, his talent as an actor and director took him to many ‘firsts’ in a world of Hollywood glitz, glamour and who-you-know. “I have dyslexia, so it took about 3 years to write this book,” Mr. Duke shares with the Tribune during a recent telephone chat. Dating back to the 1970s, Duke has appeared in a number of popular films, including Car Wash, American Gigolo, Commando, Predator, and X-Men: The Last Stand. Fewer still might be aware of Duke’s extraordinary accomplishments off-screen—as a talented director, producer, entrepreneur, and humanitarian. Duke first achieved success as an actor then turned to directing. After helming episodes of ratings giants Dallas, Falcon Crest, Hill Street Blues, and Miami Vice, Duke progressed to feature films like A Rage in Harlem, Deep Cover, Hoodlum, and Sister Act 2. 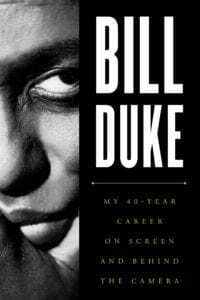 In this candid autobiography, Duke recalls the loving but stern presence of his mother and father, acting mentors like Olympia Dukakis, and the pitfalls that nearly derailed his career, notably an addiction to drugs. Along the way, readers will encounter familiar names like Danny Glover, Laurence Fishburne, Forest Whitaker, Arnold Schwarzenegger, and Whoopi Goldberg. Here below, the iconic actor/director shares even more candid details from his just-released memoir that’s a must-read for those who are long-time fans. TRIBUNE: Why this time in your life to write an autobiography as opposed to maybe five years ago or two years ago? B. DUKE: Good question. I’m 75 years old. There are no guarantees of time at any level. So, I just wanted to leave something, contribute something that I thought might be helpful when young people come into the industry. In the book I kind of talk about my family and my history and such. TRIBUNE: Were there any particular portions of your life that were difficult for you to recall as you were writing the book? B. DUKE: Yes. There were some very difficult moments. One memory was an incident that happened back when I was the first black director on the hit TV show ‘Dallas.’ I remember one day when I drove up to the set of the show to start working. This security guard looked at me and said, ‘Who are you delivering something to?’ Yes, he assumed I was a delivery person. That was quite challenging. I said to that that I was delivering my talents as the first black film director for the show Dallas, and please open the gate. But I wanted to say to him, ‘I’m going to deliver a can of whoop a$$ on you! (he laughs). TRIBUNE: I totally agree with you on that one! B. DUKE: Another painful memory to recall during the writing of the book was revealing that my sister and I, at ages five and six, were molested by our babysitter. Being sexually abused as a child greatly impacted my life negatively in so many ways. It’s not something that you just talk about to people. People think you get over it as you get older but in many cases, you don’t. You develop trust issues with people. It affects your self-worth. It’s affected relationships I’ve been in. When you’re a child and this happens to you, you ask ‘what did I do wrong?’ or ‘why did this happen to me?’ There’s a lot of things that occur that you can’t answer at the time because you’re a kid. But as I got older, I understood it better, but I was still impacted by it. That’s why when a lot of these women are sexually assaulted, the audacity of some men to say, ‘why didn’t you tell somebody at the time?’ They have no idea what damage sexual assault does to a person, especially a child. People don’t understand how difficult it is to even talk about it. So, when I hear those kinds of comments it upsets me because they shouldn’t be commenting about something they’ve never experienced. Back when I was growing up, if a child accused someone of sexually abusing them, you weren’t taken seriously. TRIBUNE: Did you or sister ever tell your parents about this? B. DUKE: My sister and I were afraid to tell our parents because my father was a very calm and focused person who went through a lot. But if you did something to his family, it would be problems. That babysitter who abused us may have come up dead and my dad would’ve been in jail…My sister and I never, ever told our parents what happened to us. We just kept this awful secret within us. TRIBUNE: Did either one of you ever confront this babysitter person about the evil she inflicted on both of you? B. DUKE: Many years later, on the day of our father’s funeral, later that evening, my sister and I went to the store. I was driving. We saw the same babysitter cross the street right in front of us. That was the first time we had seen her in probably almost 40 years. My automatic response was to start the car towards her. But my sister immediately said, ‘don’t do it!’ I just instinctively wanted that to be a revenge moment. Luckily, my sister was there for me and her. She just kept telling me to ‘let it go! let it go!’ and I did. TRIBUNE: Excuse me for crying, Bill. But I had a wonderful childhood. When I meet people who were abused as children or didn’t have a good childhood, my heart just goes out to them. I’m so sorry that happened to you and your sister. I’m so sorry. B. DUKE: God bless you, my dear. Thank you so much for your compassion because I don’t think some people understand the lifelong impact that abuse has on people. TRIBUNE: On a different note, before we close out. What’s the next project that you’re working on? B. DUKE: I’m working on a documentary about adoption and the foster care system. We’re coming across stories that you won’t believe. I mean we’re seeing stories of parents that drop off their child like you drop off a bag of trash or garbage or something. It’s sad. But on the other hand, there are some good stories too. The film will have a lot of actual testimonials with it. Hopefully, it will be finished within the next year.